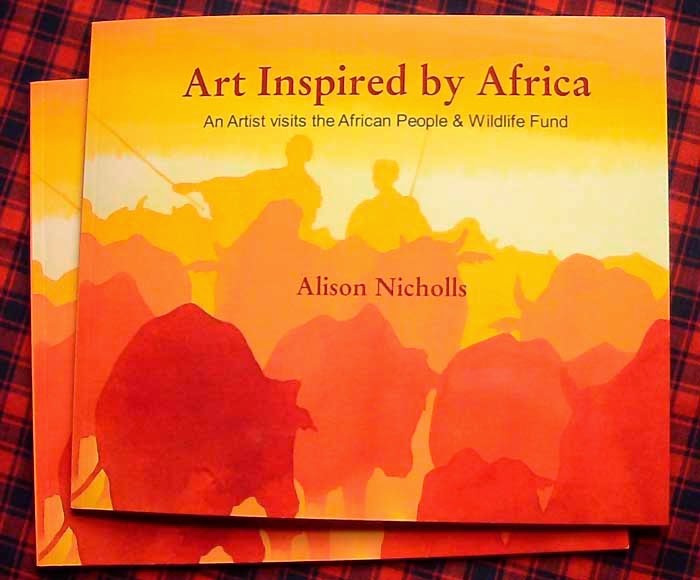 Alison Nicholls’ book features art and conservation in Tanzania. 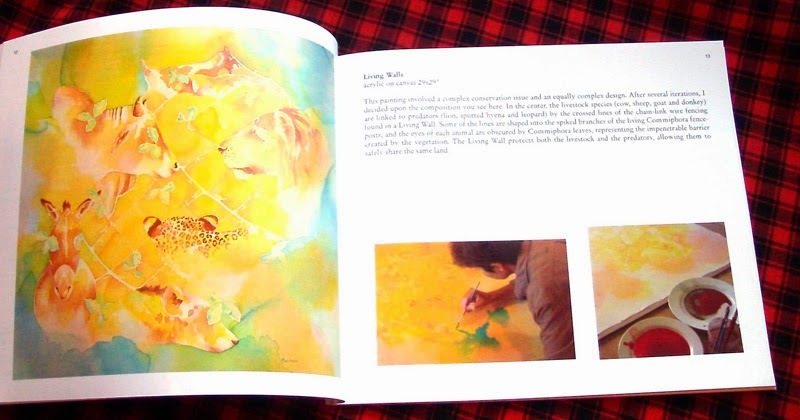 My Art is Inspired by Africa and this, my 1st book, features a combination of art and conservation, as I share my experiences spending time in Tanzania with the African People & Wildlife Fund (APW). APW works on the Maasai Steppe, helping local communities build their skills, so they can manage their natural resources for the mutual benefit of people and wildlife. They are perhaps best known for their highly successful Living Wall bomas, a reinforced, sustainable, living, boma design, which protects livestock from predators, protect predators from people (retaliatory attacks on predators have dropped because livestock are safer) and prevents habitat destruction (because the new boma design requires virtually no maintenance. Living Walls is a studio painting based on APW’s successful Living Walls boma program. I stayed at APW 3 times, for 2 weeks on each occasion, in 2011, 2012 and 2014. Initially the plan was for 2 visits, and my time was to be spent sketching and teaching drawing classes, but it turned into so much more, as I came to know the APW staff and members of the community, who invited me to sketch their daily lives and welcomed me back on each visit. I taught classes at the APW Children’s Environmental Summer Camp, and at 3 local elementary schools. My most recent visit (notice I don’t say ‘my last visit’) included a Village Exhibit featuring laminated copies of my field sketches and work created by the children. My sketches were given away in an environmental-themed quiz for members of the local school’s Wildlife Club. I also helped in the design and creation of a school mural and stenciling of classroom walls with images of wildlife, livestock, alphabet and numbers. During all my visits I was fortunate to be able to sketch in and around the village of Loibor Siret, at the market, in Maasai homesteads, at the village stream and at local celebrations. Prior to my time with APW, my art had focused purely on African wildlife, so sketching people was completely new for me. But now I’m hooked! I send laminated copies of my sketches back to the people who feature in them, and my art is now hanging in the Noloholo Environmental Center (APW’s headquarters) and the Loibor Siret school library. 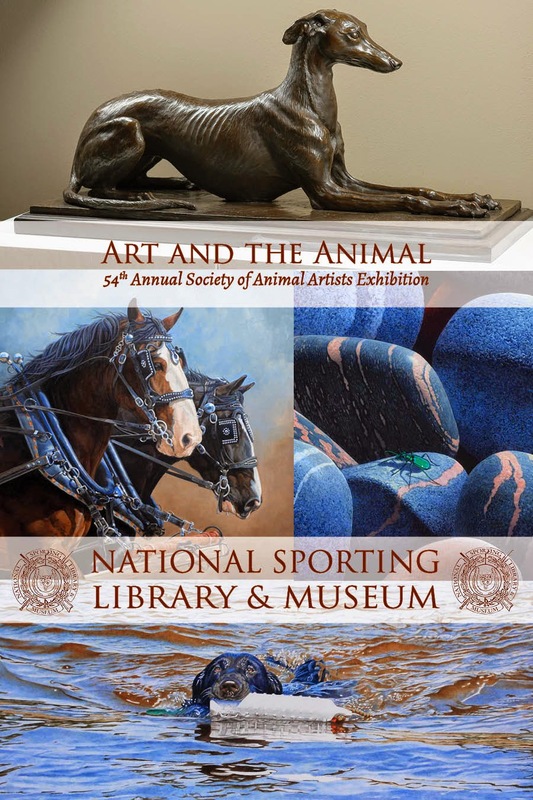 The futures of people and wildlife on the Maasai Steppe, and across Africa, are inextricably linked, and now they are linked in my Art Inspired by Africa! 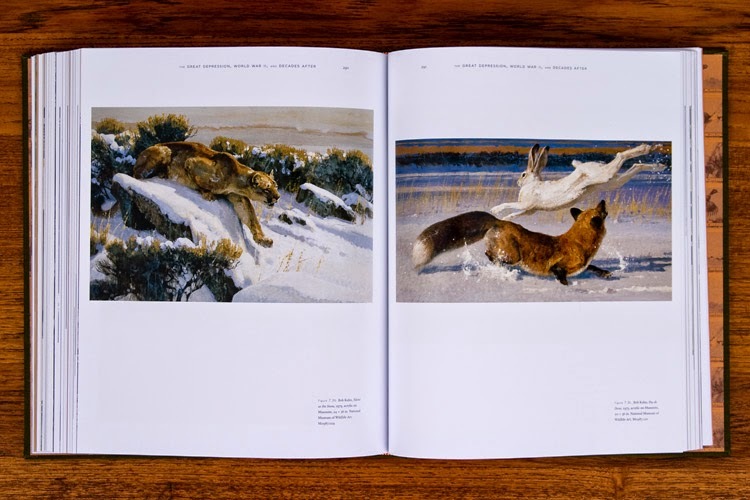 Examples of watercolor field sketches by Alison Nicholls. 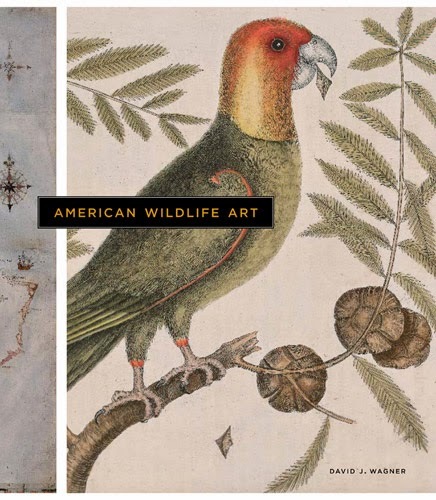 Art Inspired by Africa: An Artist Visits The African People & Wildlife Fund. 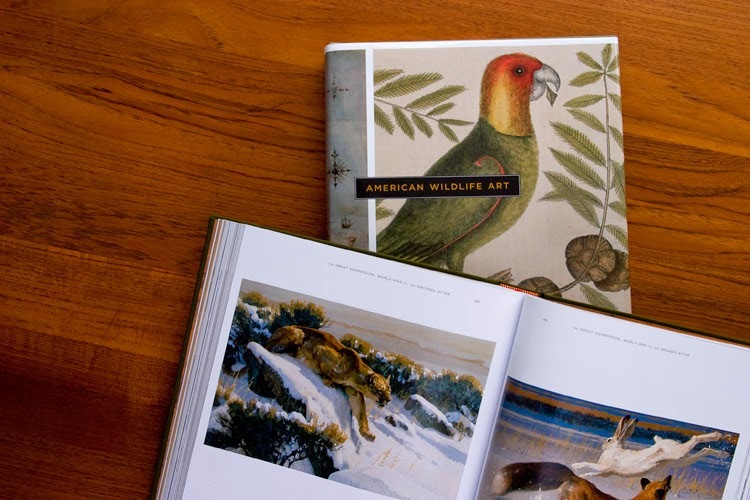 Features field sketches, journal excerpts and studio paintings by Alison Nicholls, a foreword by Dr Laly Lichtenfeld, Executive Director of APW, contributions by APW staff, information about APW field programs, and photos of Alison’s drawing classes, the Loibor Siret village exhibit and school mural. 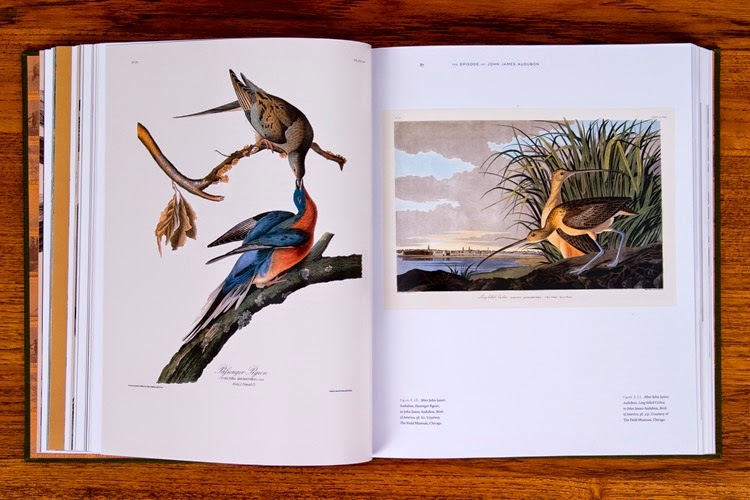 46-pages, printed on full-color premium lustre paper, in a softcover 8×10″ landscape format. Signed copies are available for US$35 until April 30, 2015. After this date the book will be on sale on Amazon.com for a higher price. A donation is made to APW from every sale. Please visit www.Afrpw.org to see more about APW and their work on the Maasai Steppe of Tanzania. 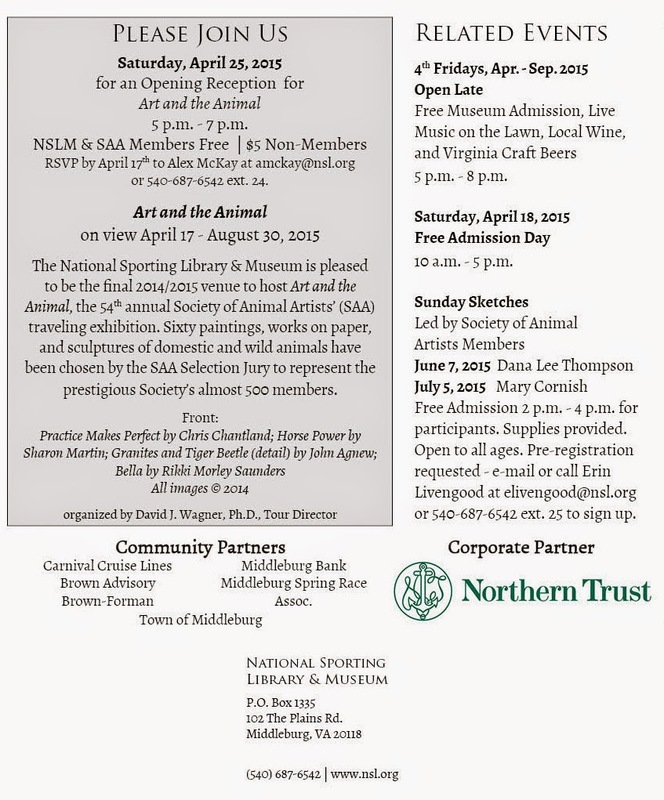 Please email Alison@nichollswildlifeart.com or visit her website www.ArtInspiredbyAfrica.com for further details. A field sketch (left) and studio painting by Alison Nicholls, featuring the colorful shukas of the Maasai.